If you’ve been admitted during Early Decision, you’ll receive an estimated award with your acceptance letter in December and a final notification in late May. Regular Decision applicants receive notice in early April. 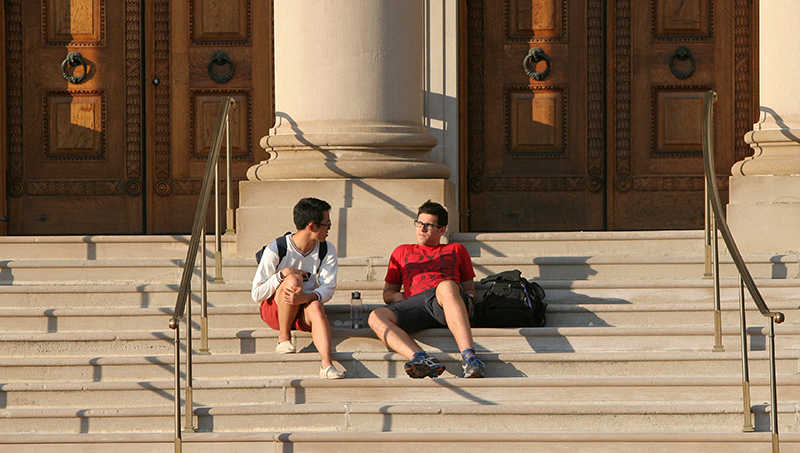 Returning students receive notice in mid-July for the upcoming academic year. These time frames assume that you apply for financial aid by our published deadlines and respond to any subsequent requests in a timely manner. In mid-July, you’ll be able to see your award information in Williams Student Records > Student Services Center > Finances > View Financial Aid. If you don’t see your financial aid information in your account, it may be that your financial aid application is incomplete. Check the status of your application in Williams Student Records > Student Services Center > To Do list. If any item remains outstanding, promptly follow the instructions provided in your to-do list. Once we receive the requested materials, we will review your application in the order in which it was received. While reviewing your financial aid award, keep in mind that it is not your term bill. If you would like help understanding your award, or would like us to revisit our analysis, please contact us by phone, email, or letter. Please provide your name, class year, and Williams ID number in your communication. Your financial aid officer will discuss matters with you as soon as he or she reviews your financial aid application. You are not required to accept the campus employment or student loan in order to receive your Williams Scholarship, but note that Williams will not replace them with additional grant. You and your parents are expected to make up any shortfall. First-year students may accept or decline their campus employment and student loan on a form we will mail in our June welcome packet. Sophomores, juniors, and seniors wishing to decline should complete the Financial Aid Update and Loan Request form; otherwise, do nothing and we will assume you accept your financial aid award as offered.